Tundra Swan on nest photograph U.S. Fish & Wildlife Service (no photographer listed). 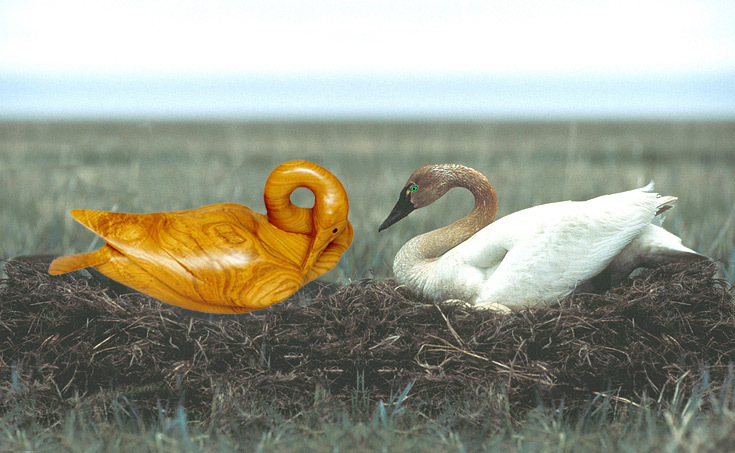 Life size swan carving (Catalpa) by Rand Jack inserted for size comparison.